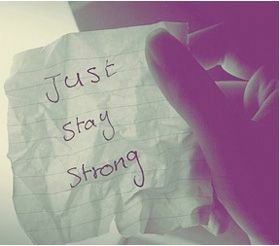 Some days may disappoint, but don't give up, stay strong. Don't ever let anyone break your soul. You have to stand on your own two feet and fight. There are those who would do anything to see you fall. Never give them the satisfaction. Hold your head up high. Put a smile on you face, and stand your ground! The pain you are feeeling cant compare to the joy that is coming. 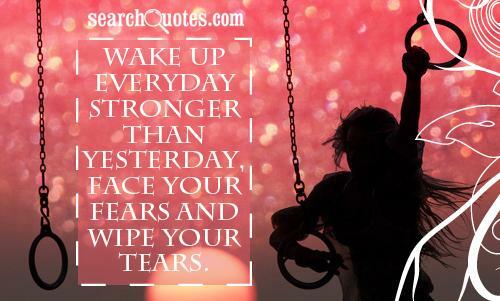 Stay strong is a phrase which emphasizes the need of staying strong, fit and active both physically and mentally. One needs to possess physical prowess and stay physically strong. Physical fitness increases our capacity to work with diligence and efficiency. Physical strength can be gained by exercising regularly. According to Grete Waltz, “In terms of fitness and battling through cancer, exercise helps you stay strong physically and mentally.” The other aspect to staying strong is being “mentally strong”. You can be mentally strong by practising meditation or yoga. A mentally strong person will never go weak and will stay rock solid, even in the phase of testing circumstances. Mental strength is essential for a person to stay cool, calm and collected even in the face of adversities. Such a person is a tough human being, who goes from strength to strength in life.